Didn't make it to Porto? Well, come to a workshop here in Seattle!! Join experienced sketcher and Urban Sketchers instructor, Stephanie Bower, for a celebration of summer sketching at home! 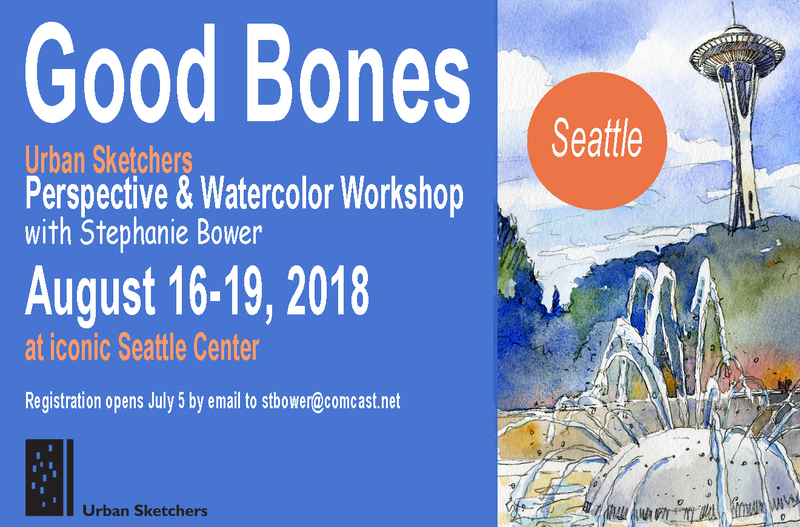 There are two spots left for local sketchers in the USk Good Bones | Seattle, August 16-19 at the beautiful campus of Seattle Center. We'll work indoors, outdoors, we'll cover perspective and an intro to watercolor...and we'll join Seattle Urban Sketchers for a sketchcrawl the last day! More info is HERE. Hope to see you!